I’ve decided to try an experiment, and allow the occasional guest blogger. This will give new bloggers additional exposure, and draw eyes to both our sites. Our first guest blogger is Andrew Jackson. Andrew is a SQL DBA and SQL Server blogger too. He likes to share about SQL Server and the problems related to it as well as their solution, handling database related user queries, server or database maintenance, database management etc. Without further delay, here is Andrew’s first contribution, Simple Way to Fix SQL Server Page Level Corruption. Database corruption is the worst situation for any Database Administrator. The SQL database stores very crucial data, the occurrence of corruption make it inaccessible which causes huddle in workflow in any organization or business. Whenever the corruption issues are discovered, it must be resolved on time by the admin before the issue spread through the data infrastructure. Therefore, it is very necessary to take proper steps to protect the data from such damage. This article explains the causes, troubleshooting, and fixing SQL server page level corruption. Pages are the most basic unit of data stored in database, all .mdf or .ndf files in a database are logically divided into pages numbered from 0 to n. Whenever the pages of database file are infected by the corruption, DBA will repair each damaged page in isolation. Repairing and restoring the few pages individually is faster than repairing the entire file. · Hardware malfunction, most of database corruption occurs due to hardware failure. Moreover, Admin have their eventual plans to tackle SQL Server database corruption issue, there are strategies like replication, database monitoring, disaster recovery plans etc. However, there are the conditions when admin do not have such solution. In that case, admin need a solution to handle this problem, In SQL 2005 and later version there is a feature called Page Checksum that creates checksum value to detect the scale of the damage in database. 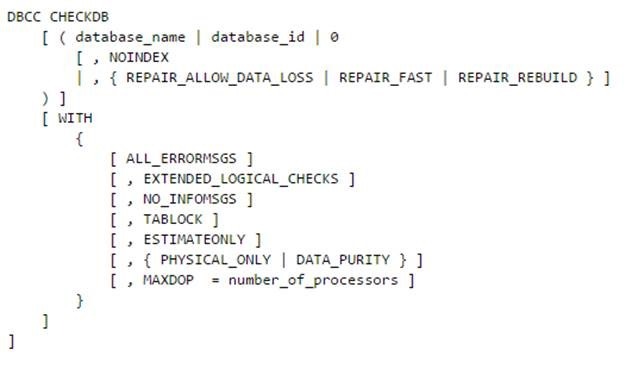 If the problem in SQL database is unreadable by SQL server, then it requires the complete restoration of the database. On other hand if damage is not that severe and lesser pages are infected then DBA can use DBCC utility. DBCC CHECKDB is a command that fix the corruption issue in SQL database. It fixes the inconsistency in SQL server database by performing Database Consistency Checks. It is a combination of DBCC CHECKCATALOG, CHECKALLOC and DBCCCHECKTABLE. There is also an alternative solution to handle Page level corruption in SQL database, user can opt a third party tool namely that can easily tackle this corruption. It can recover highly corrupted page from both primary and secondary database. It supports all the versions of SQL Database Server. Using these defined ways; user or DBA can easily recover the page level corruption. Thanks Andrew for your contribution. If you are interested in becoming a guest blogger, just email me info <@> arcanetc.com.